Quickly find all types of aerial lift rentals from top rated aerial lift rental companies. Compare price quotes from a few of the leading aerial lift rental companies in your area. I was searching for a boom lift; comparing rates for Aerial Lifts was easy, I just used the online guide at RentalForce.com, filled out their online form to receive a quote, and I was able to find exactly what I needed for my tree trimming job. I'm doing a tree trimming job and needed an Aerial lift; I didn't have time to search the 'net for pricing and RentalForce.com was the only site I could find offering quick search tools for quotes and fair pricing. Save Time - fill out just one quick quote form and we'll match you to companies offering the aerial lift you're looking for. Save Money - you'll get prices on aerial lift rentals from a few of the top companies in your area, making it easy to compare rates and save money. Rent from the top aerial lift companies - rent from the most dependable aerial lift companies. Aerial lifts are used for tons of different projects from construction to warehousing. There are a bunch of different types of aerial lifts to choose from and some are designed specifically for use inside warehouses, while others are designed for film crews, or construction sites. 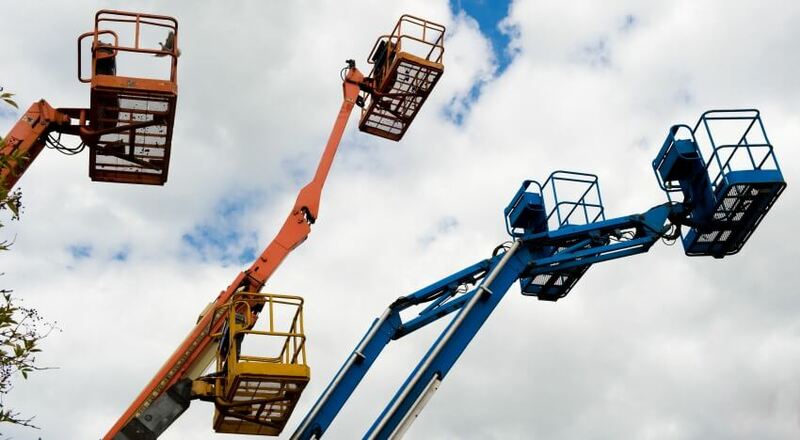 When it comes to renting an aerial lift the main features to keep in mind are the reach, which is how high the platform can go, and capacity, which refers to the weight that a platform can lift. Aerial lifts that are made to only lift one person are often called man lifts, while most other lifts are referred to as platform lifts. Most lifts come with an engine and are self powered, but some lifts are trailer mounted so if you want to transport them you need a vehicle with a trailer hitch. Landscaping and trimming of large trees. Installing and repairing lighting fixtures in large buildings. Installing and repairing telephone and electrical wires.